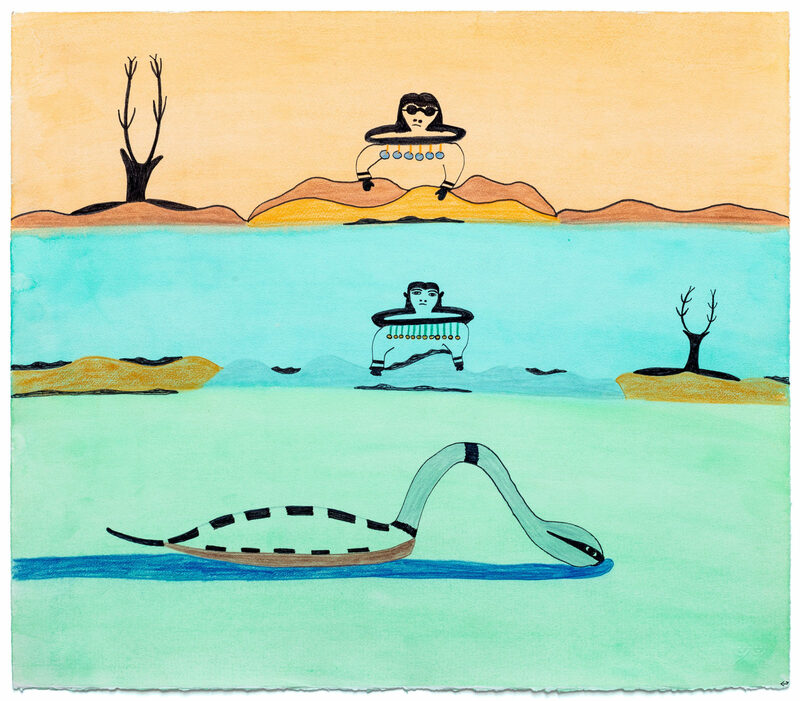 untitled (women on the land), 1977-1978, ink, acrylic, color pencil, paper, 20.75 x 23.75 in. 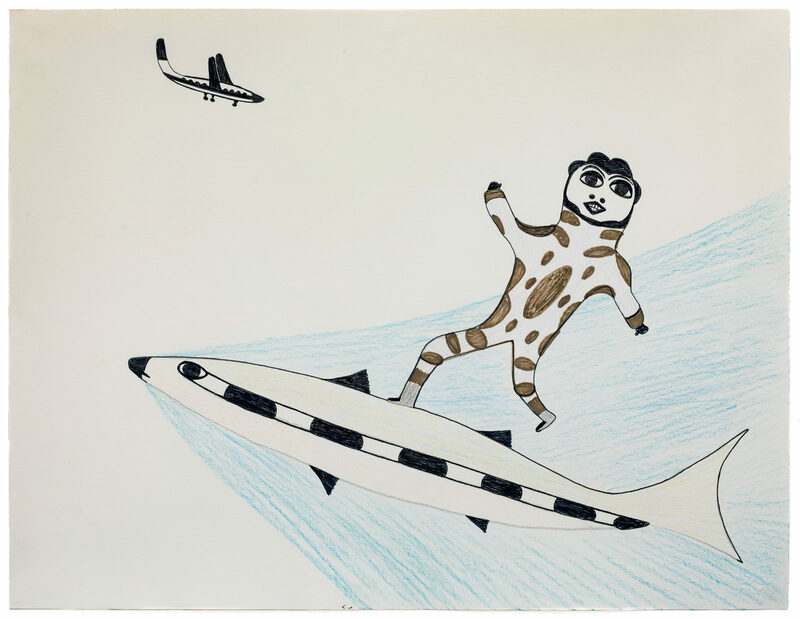 untitled (man surfing on fish), 1989-1990, color pencil, paper, 20 x 25.75 in. 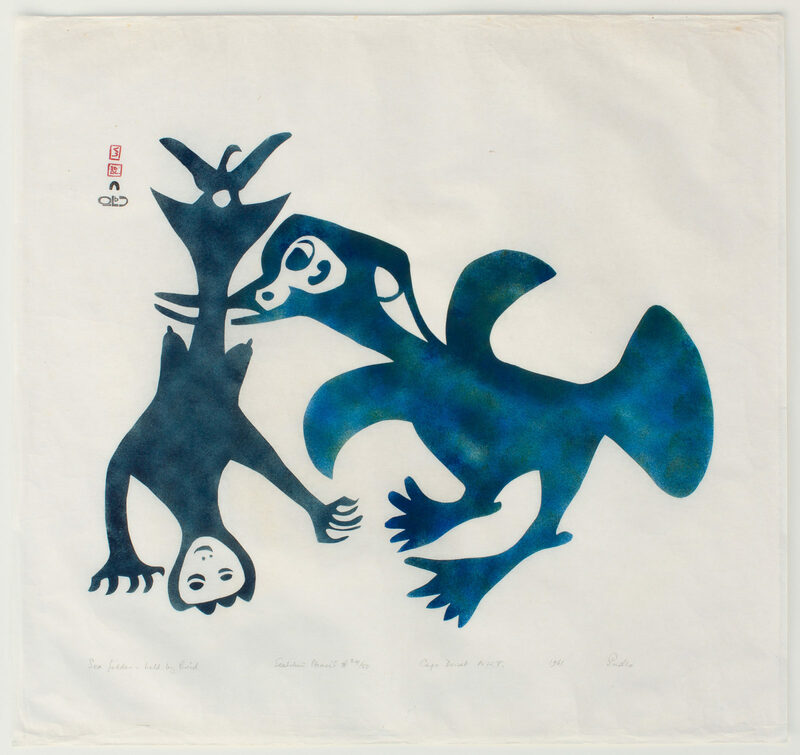 Sea Goddess Held By Bird, 1961, sealskin stencil, paper, 24/50, 24 x 25.5 in. 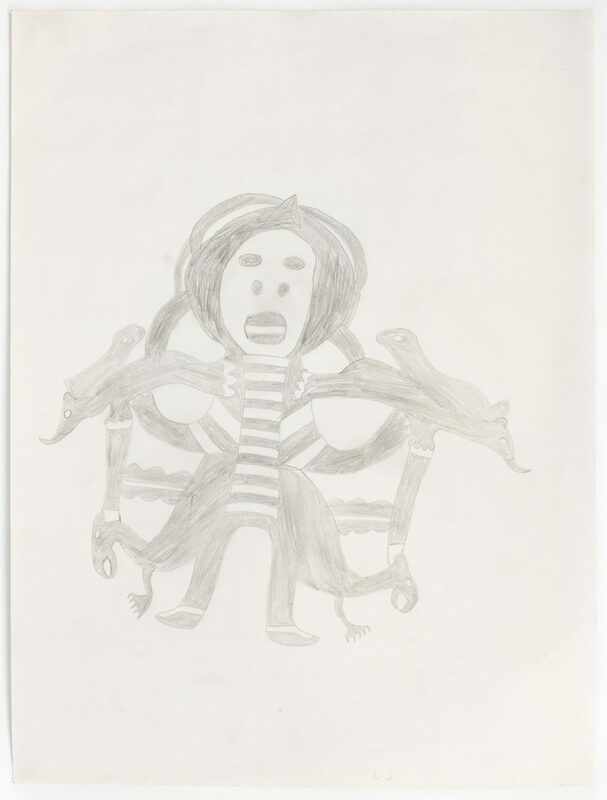 untitled (fantasy figure), 1960, graphite, paper, 20 x 26 in. 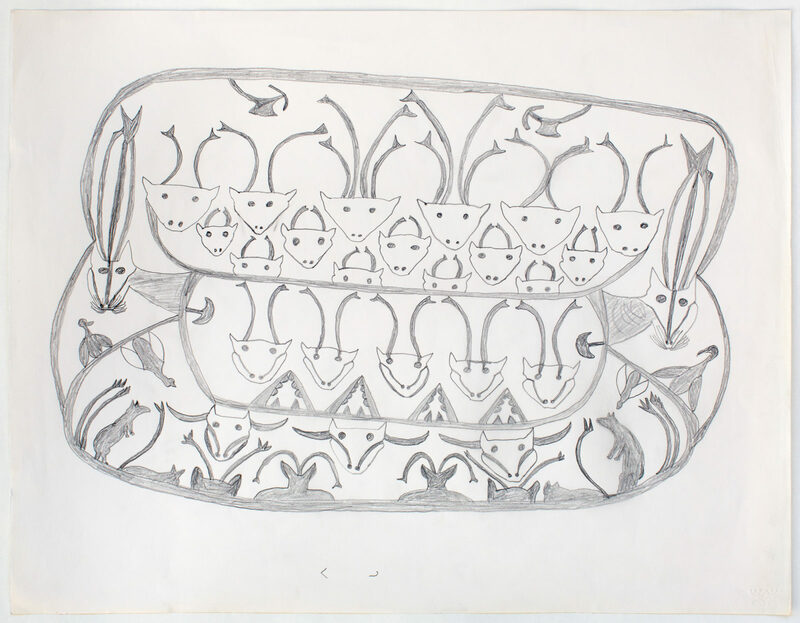 untitled (caribou heads), c. 1965, graphite, paper, 20 x 26 in.